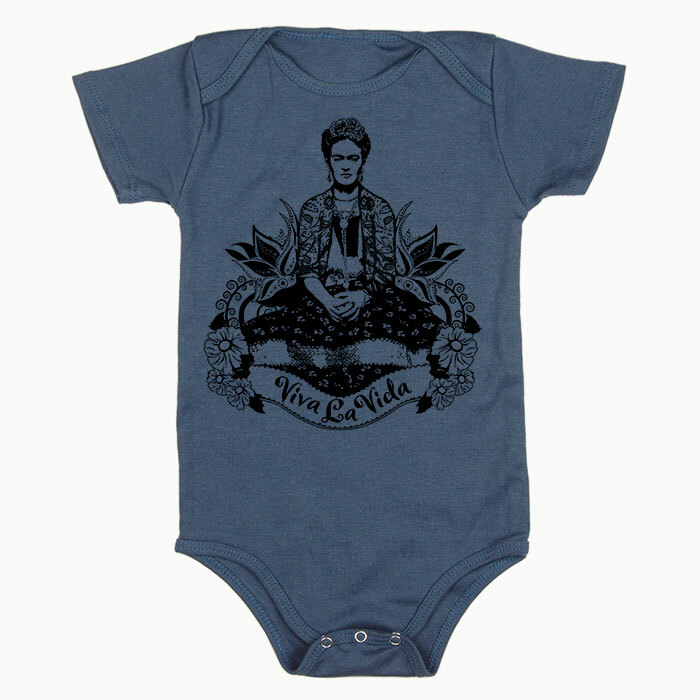 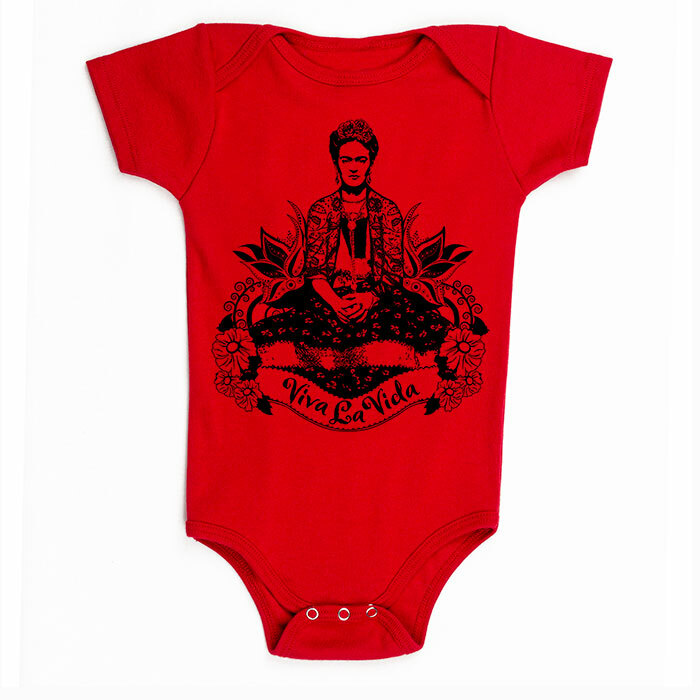 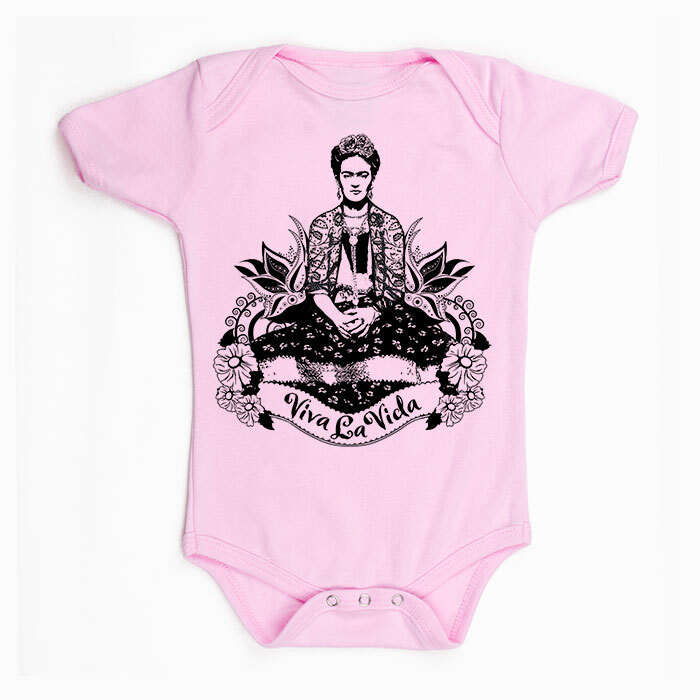 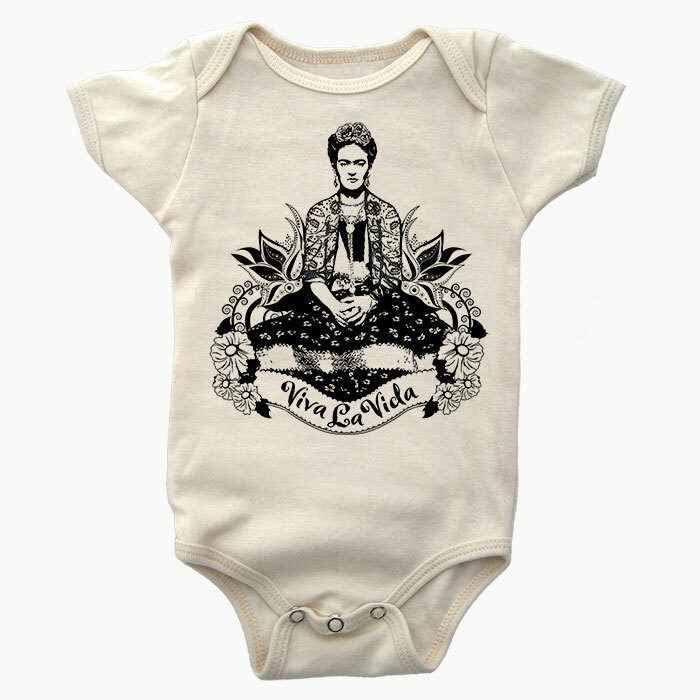 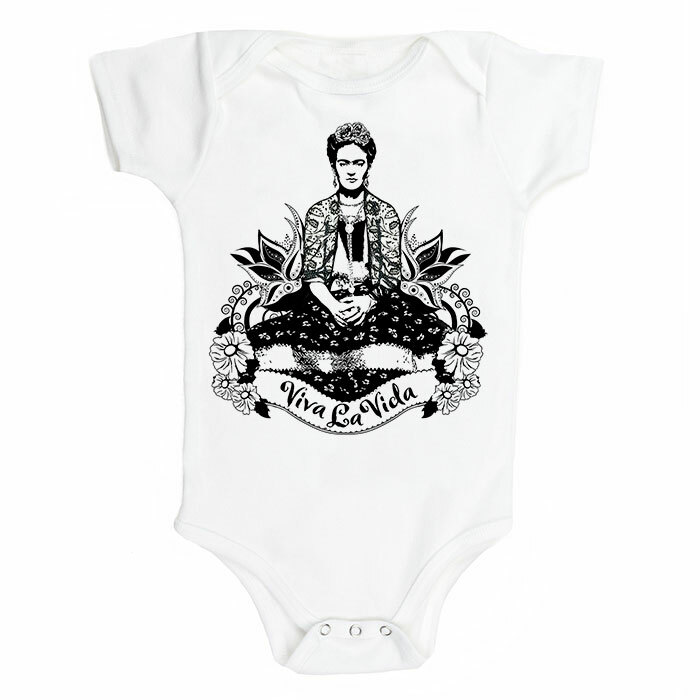 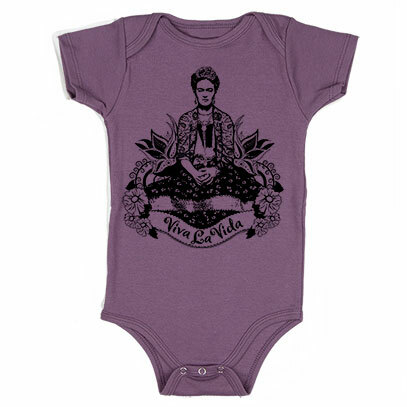 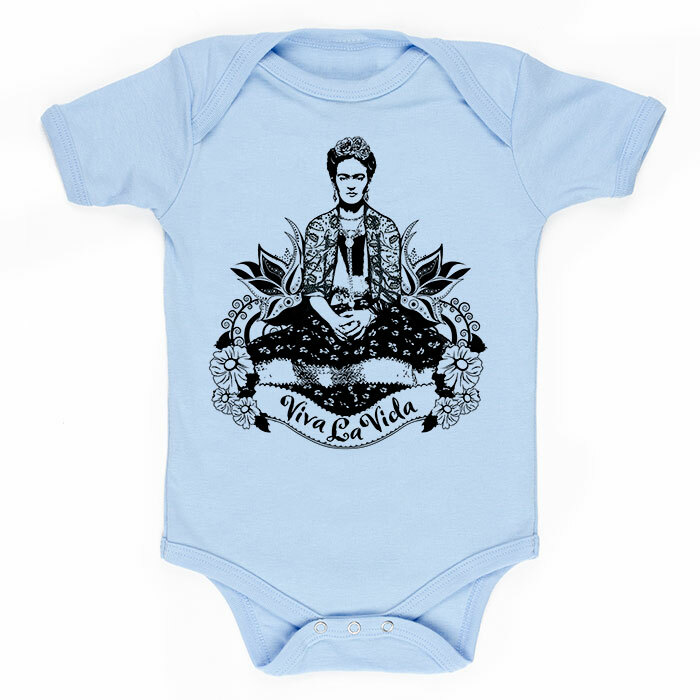 Frida Via La Vida features a drawing and design of mine of Frida with the saying Viva La Vida meaning Long Live Life in Spanish. 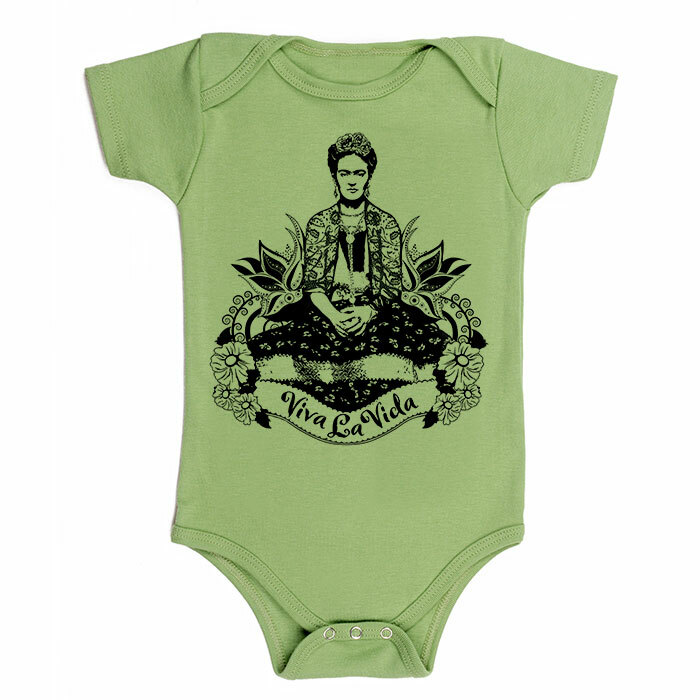 It is inspired by an inscription she added a few days before her death to a still life of watermelons "Viva la Vida - Coyoacán 1954 Mexico". 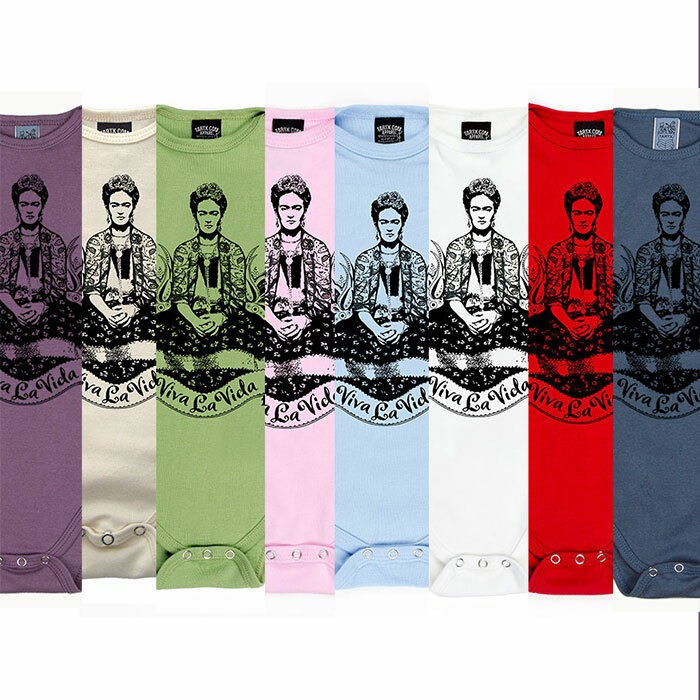 Colors: Eggplant, Pacific Blue, Salt White, Baby Blue, Natural, Avocado, Cherry Red and Light Rose pink.